This was another radical transformation which we finished earlier this spring. 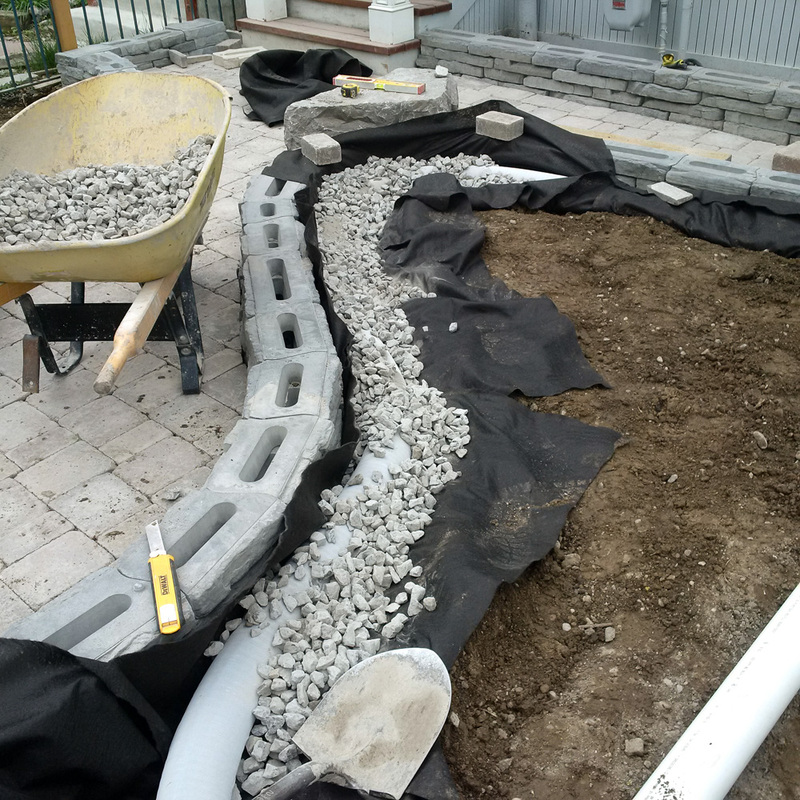 The objective of the project was to replace the boring grass lawn with some visually appealing raised planter beds that could double as functional walkways. We pulled in some large natural bolders to frame the design - not only did it create a lovely focal point in the space, but they matched nicely with the natural stone coping and Unilock Rivercrest wall units. This project really shines with the planting our clients did after we left, so I will have to go back for some photos once the gardens are in full bloom this summer. But here's the final look as we left the job site, and scroll down to see more in the slideshow below. 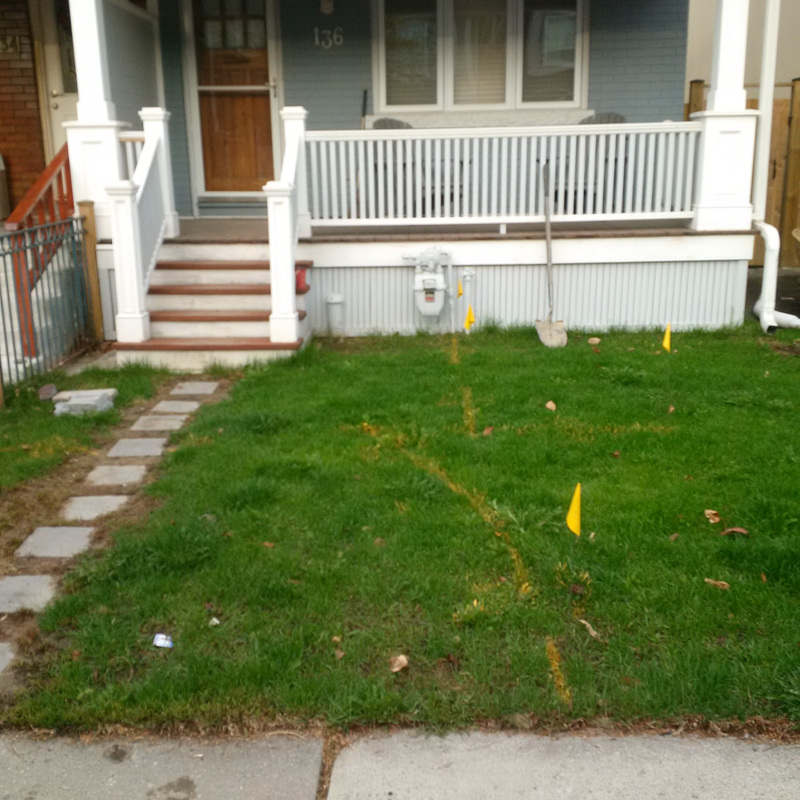 COMPLETED CONSTRUCTION - READY TO PLANT! The product selection changed a little during the process, but here is the origional concept we decided on. Walls - Unilock Rivercrest 'Coastal Slate' with Banas 'Slate Grey' coping. Create a visually stunning walkway with ample space for planting, and a unique look & feel. Excavation is all finished, time for base. First course of the Unilock Rivercrest wall. The final result really complimented the house perfectly and is high in function as well as style. We're quite thrilled with how it tuned out! A perfect example of how thinking outside the box can pay off. I really have to find the before photos of this job for you to get the full effect, but all the same we are very happy with how this little job turned out. 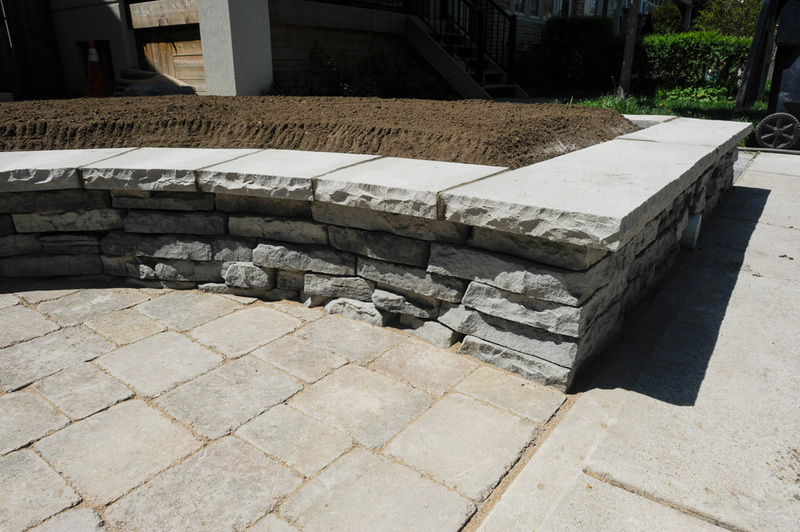 We replaced their crumbling concrete steps and garden wall with Unilock Brussels Dimensional in the 'Limestone' colour. 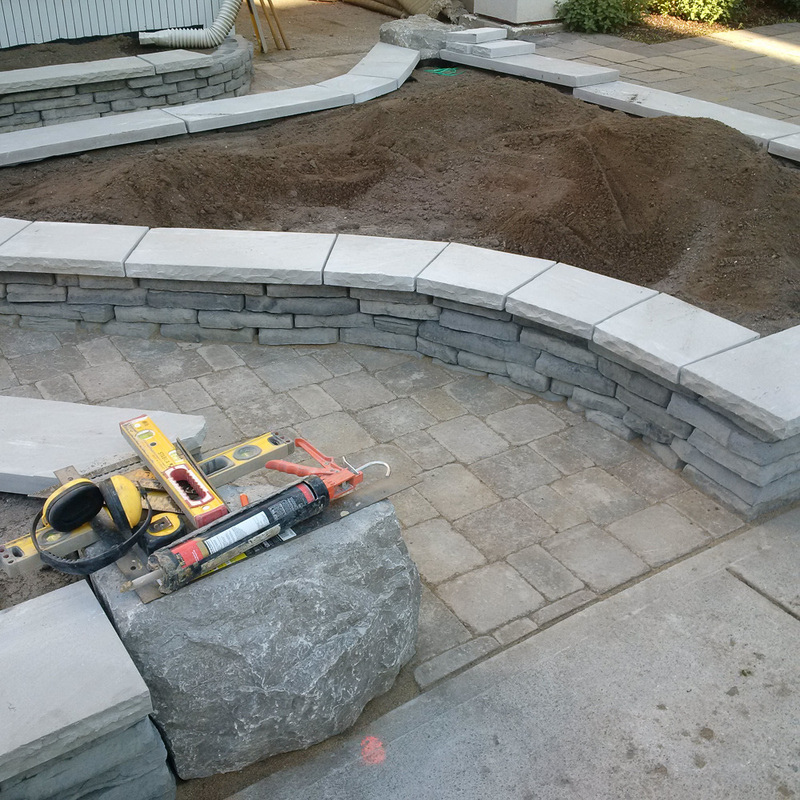 The landings are filled in with Unilock Brussels Block interlocking stone, and the garden wall is finished with Banas Kota Black coping.